Five trips that you can take with your kids this holiday season. Longtime readers of the Express' annual Holiday Guide know that we're big advocates for getting away from it all during the crazy busy holiday season. That's especially true if the trip involves spending some quality time in nature. Taking long walks on a secluded beach, exploring the backwoods of snow country, or catching a glimpse of a wild animal — or two, or three — is guaranteed to help melt away stress and get you ready for the New Year. Plus, it's just great to escape the crowds during the hectic shopping season. With that in mind, here are five family-friendly getaways for the 2015 holidays — or next year's. Two words: elephant seals! Although it's only about ninety minutes from Oakland, Año Nuevo State Park, along Highway 1, between Half Moon Bay and Santa Cruz, feels as if it's on a remote continent somewhere, populated by wild, huge, strange-looking creatures. You can actually get a close-up view of the magnificent elephant seals year-round at Año Nuevo, but the best time to go is in winter — from late December to early March. That's when the seals come ashore to give birth and mate. During guided tours along the coast and beaches in the park, you can see females pup from late December through January. You'll also likely see bulls engaging in titanic battles for breeding rights before the adults head back to sea in early March. You need to make reservations in advance for the guided walks ($7 per person), which last about two and a half hours and crisscross rolling sand dunes. And you might have to brave some pretty fierce weather — if El Niño delivers this year — but believe me, it'll be worth it. 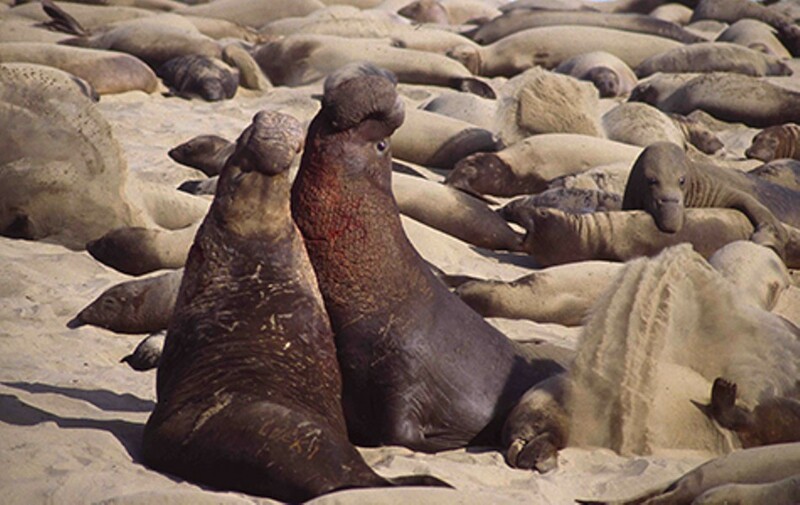 You and your family will never forget seeing hundreds of these massive animals on a single afternoon in their natural habitat — up to 10,000 elephant seals come to Año Nuevo every year. If your favored day is already booked, the park offers a limited number of tickets on a first-come, first-served basis each day. But get there early. And don't forget your camera. Although you can do Año Nuevo as a day trip from the East Bay, I suggest making it at overnight excursion. Just head on down the coast a bit to Santa Cruz. The city's downtown, along Pacific Avenue, is full of holiday cheer this time of year. 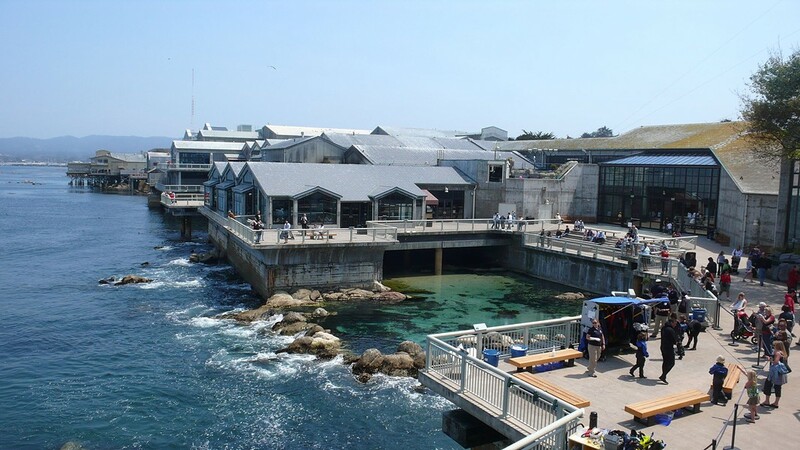 Monterey Bay Aquarium is a must-see. I'm typically not a big fan of zoos and aquariums, mainly because I believe wild animals should be left in the wild — like the elephant seals at Año Nuevo. But Monterey Bay Aquarium is an exception. The institution truly cares about research, about the ocean and its wildlife, and about helping maintain sustainable fisheries and aquaculture. And its Seafood Watch program produces science-based recommendations for what seafood to eat and what fish to avoid because of over-fishing. Plus, after visiting the aquarium, your kids won't be able to stop talking about the sea otters and penguins. But as long as you're in the area, why not also check out some of these same majestic animals in the wild, too? At Point Lobos State Preserve, about fifteen minutes south on Highway 1, you might get a glimpse of a sea otter floating lazily on its back in one of the small bays or inlets in the park. This summer, we spotted three in one afternoon. And don't fret about the season: December to March is the best time to see gray whales and dolphins jumping out of the water as you traipse along the rocky coastline at Point Lobos — one of the prettiest spots in all of California. 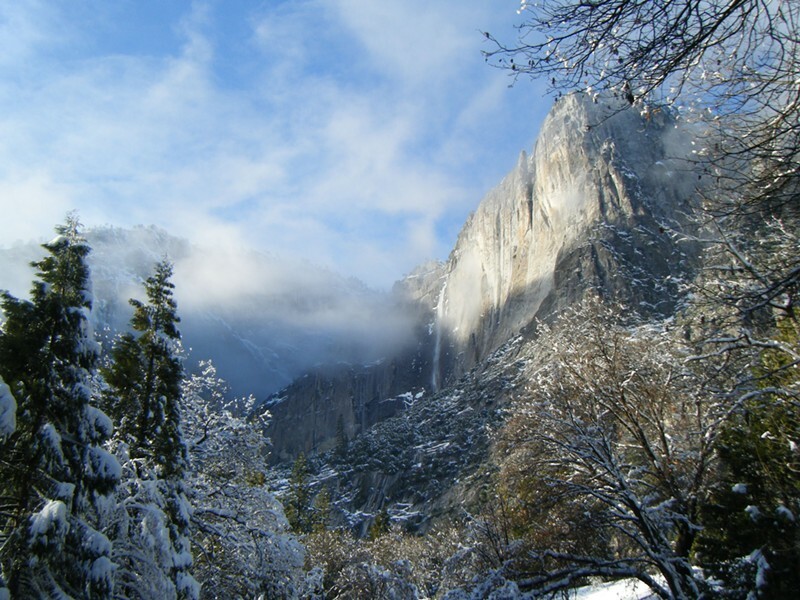 Yes, Yosemite is spectacular in summertime, but it's arguably even more gorgeous in winter. In fact, you really haven't seen the jewel of the US national park system until you've soaked in the beauty of Half Dome, El Capitan, and Yosemite Valley when they're blanketed with snow and ice. If there's a lot of snow on the ground (fingers crossed), I recommend strapping on some snowshoes and hiking around the most beautiful valley on Earth. Badger Pass Ski Area also offers great downhill, backcountry, and cross-country skiing and snowboarding, along with a lively ski school for kids. For the young ones, try out snow tubing — it's a blast. And if you're a cross-country skier or a snowshoer, you also must check out the breathtaking views at Dewey Point. Do yourself a favor, too: Spend some time warming up in the Glacier Point Ski Hut. It overlooks Half Dome. Snow tubing is a blast. 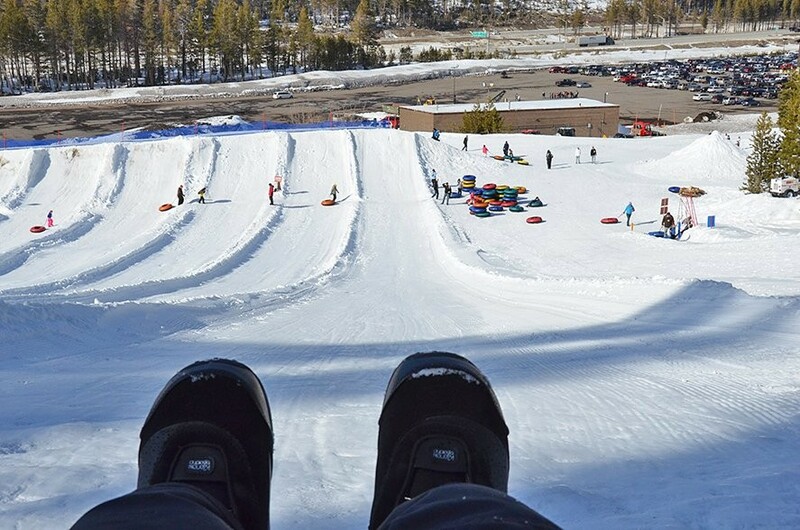 Speaking of snow tubing, for families with young kids who perhaps aren't ready yet for the slopes (or aren't interested), there are few things more fun than gliding fast down a snow-covered hill on an inner tube. Tubing, in fact, has become increasingly popular over the years — many of the top resorts in Tahoe now offer the family-friendly activity, and some of them have fairly long runs and large hills. Plus, it's way cheaper than ski school. Tickets usually run $30–$40 for a full day, and you don't have to rent or buy expensive equipment. Just drop off the kids, and they'll glide to their heart's content, while you do some downhill or cross-country skiing or snowboarding. They might just have more fun than you do. A favorite place is Tube Town at Soda Springs Resort near Truckee. It's got twenty tubing lanes and a 400-foot lift that ferries your tired kids back to the top for another run. Children have to be at least 42 inches tall, and must be able to ride without sitting on an adult's lap. $34–$39 per ticket. 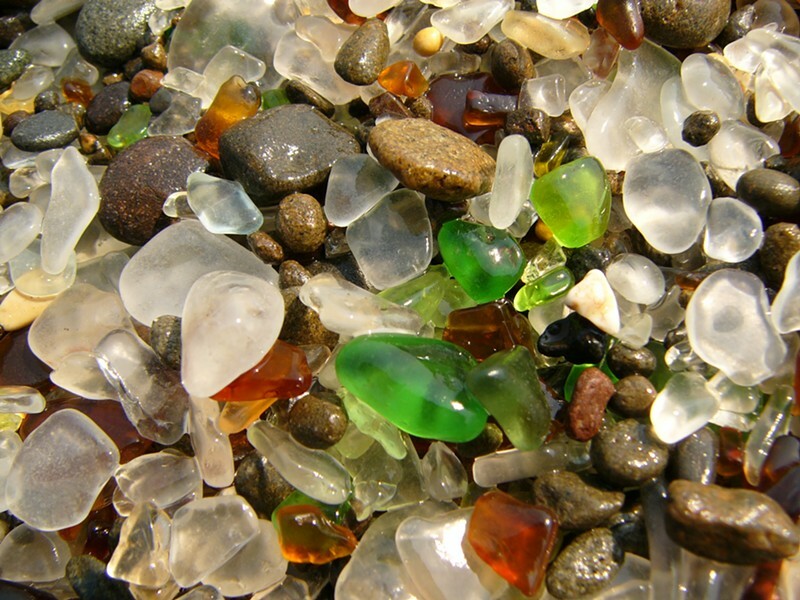 But the kids will love combing through glass at Glass Beach, too. Question: What's the prettiest former garbage dump in California? Answer: Glass Beach at MacKerricher State Park near Fort Bragg. In fact, it's a popular spot precisely because of the garbage — the old discarded glass, that is. Until 1967, local residents referred to the area The Dumps and used to throw trash, old appliances, and bottles and glass over the cliffs and onto the beaches below. The State Water Resources Control Board eventually realized that this was not such a good idea, and so it took over the area and embarked on a number of cleanups. What's left today are old pieces of glass that have transformed into extraordinarily colorful stones as smooth as, um, glass — thanks to the constant pounding of ocean waves.